Artwork by James Hayes . . .
James Hayes is an established sculptor proficient in a wide range of traditional and new media skills, ranging from authentic Bronze Age metal casting to complex 3D computer modelling and image manipulation. He has been commissioned for site specific public, corporate & private sculpture regularly since 1995, and has exhibited extensively in Ireland and North America. James is a professional member of Visual Artists Ireland since 1993 (formerly Sculptors' Society of Ireland). 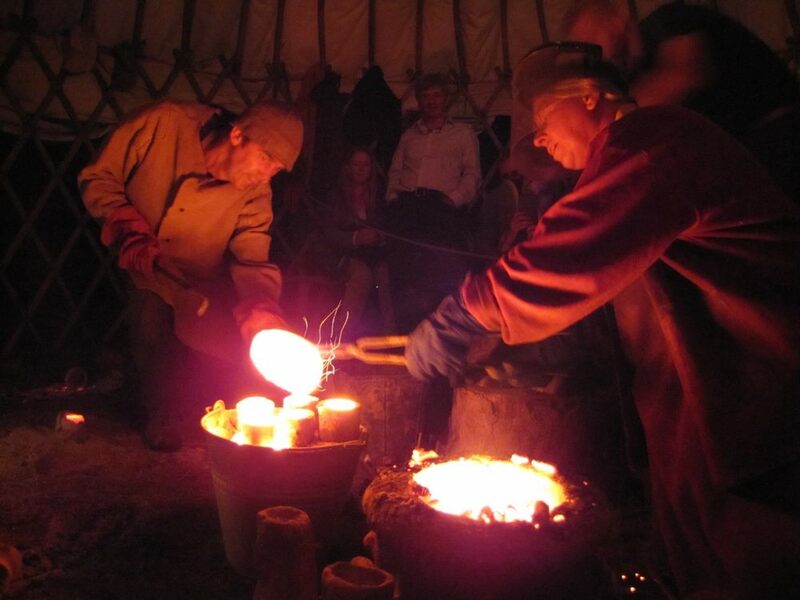 James has organised and run five "Umha Aois" experimental bronze casting symposia, and is an active participant on the "Umha Aois" projects since 1996. James trained in traditional visual arts and sculpture skills in Toronto, Canada, and has since extended his skills base with a Bachelor of Fine Arts from Dun Laoghaire Institute of Art Design and Technology, and a Master of Science in Multimedia Skills from Trinity College, Dublin. Ongoing experimental bronze casting project. Click here to read James Hayes artist statement and bio. "The majority of my artwork is object based sculpture. I like to combine household objects with romantic images to suggest personal histories and memories. I have also been involved in several art symposiums which have freed me from the traditional studio approach to art making. My most recent artwork ranges between small scale traditional figurative work and large scale land art. The small scale figurative artwork is an experimental approach to ceramic work & bronze casting figurative work, with a distinctly ancient feel. I have also begun casting purely bronze pieces, contrasting polish, patina and texture. " In his artistic career James Hayes has exhibited solo ('98 & '99, in Dundalk & Bray) as well as in prestigious group exhibitions and events. James participated in the Emo Court Artists Symposium 2005, the 1997 Temple Bar Street Art Symposium, the 1996 Kilkenny Arts Week, the "Home" show at the Project Arts Centre in 1995, and in the 1994 "Proof(1)" exhibition at Gallery 44 Centre for Contemporary Photography, Toronto, Canada. 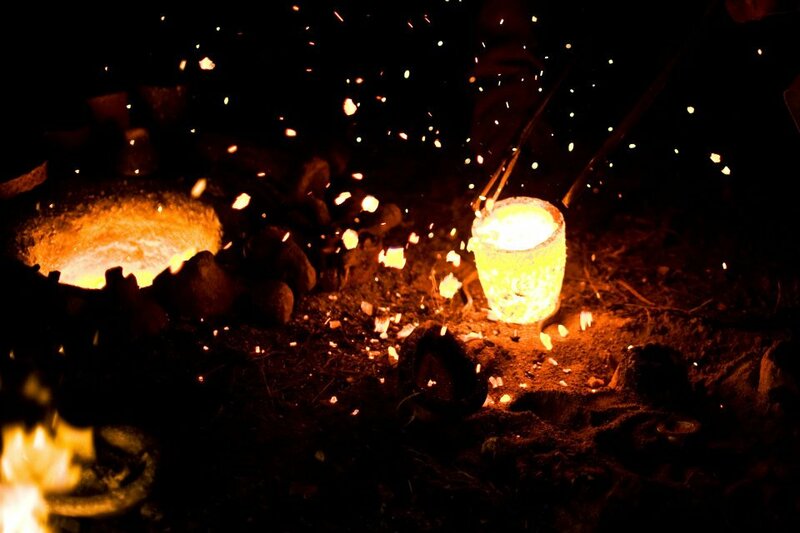 James has also organised five experimental bronze casting symposia (Umha Aois '03, '02, '01, '99 & '97). In my sculptural work I use objects, images, colours, and materials that I consider both simple and iconic, and I combine them to suggest ideas, personal histories, emotions, memories and dreams. My approach to my artwork is diverse, unique, and appropriate to the circumstances. My recent artworks focus on my very new experiences as a father, standing in the reflected light of the classic mother and child. 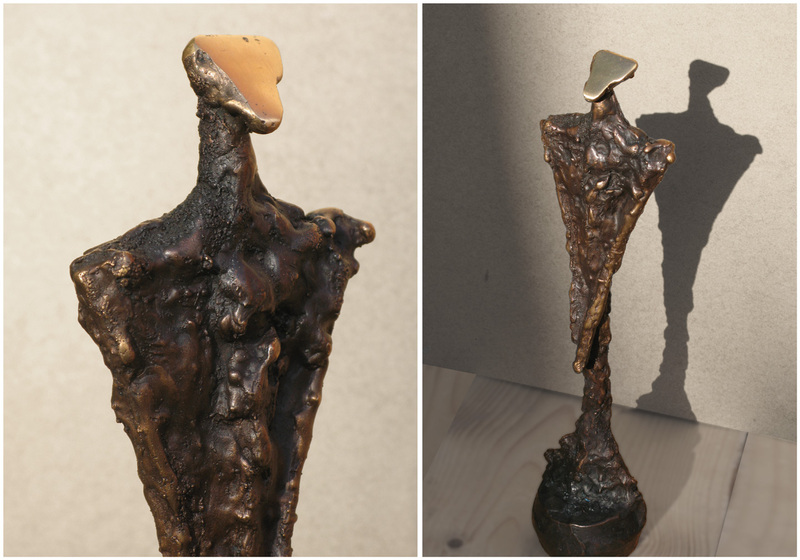 These figurative bronze & ceramic sculptures were exhibited as part of the "For Elise" exhibition with artist Lorraine Whelan. I experiment with photography, printing images onto various materials (most notably glass, metal and painted surfaces) and incorporating them into a sculptural context. I enjoy the craft of woodworking and in "Tables/Tableaux" I used traditional lathe-work and carpentry. I have been involved in a number of projects which are experimental in nature and direction, thus freeing me from the usual studio approach to art making. The Emo Court Artists Symposium 2005 gave me the opportunity to create an immense land art work "Evidence". This was a fantastic opportunity for me, as how often do you get a chance to recreate such a large area into a piece of artwork? Both the "Home" exhibition and the "Temple Bar Street Art Symposium" were projects geared directly towards raising awareness of the issues of life in and on the streets. The "Umha Aois" projects, five of which I have helped to organise & run, are bronze casting symposia with the purpose of rediscovering ancient casting technologies and as such are very experimental in approach. As an active member of the Umha Aois Organising Committee I was committed to building on the successes of this experimental approach and to empowering my fellow artists through the experiences of the symposia. I still manage the Umha Aois website, as well as participating on the ongoing projects as an artist and technician. Recently I began experimenting with using video in my sculptural and installation work. I have also begun to use the techniques discovered through the Umha Aois symposia to create components of my artwork, and am pleased with the results. In 2005 I completed my first large scale commission, a fountain entitled "Ball! ", for Jim Hayes in Iowa City. This consisted of 3 bronze figures and a bronze ball, arranged in a circular fountain. I have also had several opportunities to create truly large scale work. At the "Emo Court Artsts Symposium 2005" I created an image of my fingerprint measuring 120 metres by 80 meters by burning the image into a harvested field. At the 2006 "Sculpture in Context" exhibiton at the National Botanic Gardens Dublin, I created another large scale image of my fingerprint. I used decorative white gravel on dark soil, along a riverbank measuring 35 meters by 5 meters. In 2007 I was commissioned to create a large public artwork for a new Garda Station in Oranmore, Co. Galway. 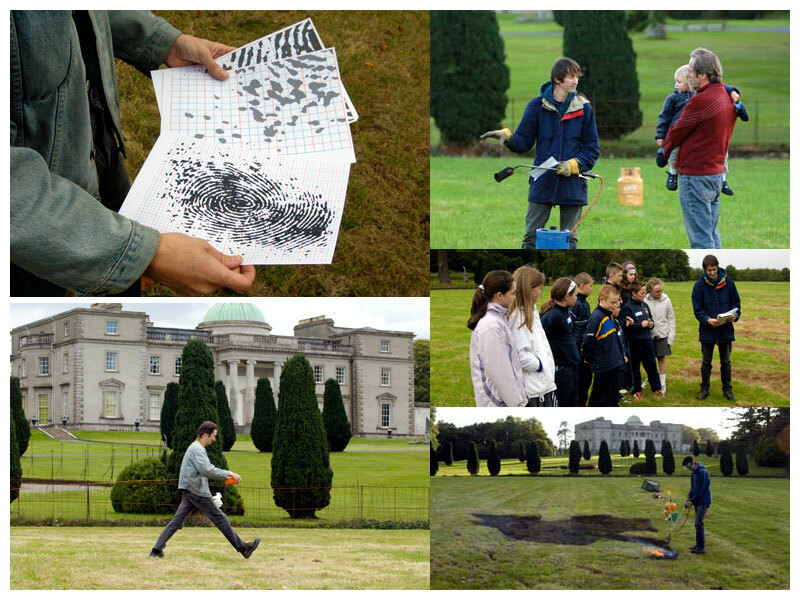 This large artwork "Evidence 2007" was inspired by Evidence 2005 created at Emo Court, and played on notions of justice associated with the work of the Garda Siochana. During 2007 and 2008 I worked on a collaborative artwork with fellow artist Niall O'Neill. This public artwork "Horseplay" was created using techniques Niall & I have researched through the Umha Aois Experimental Bronze Casting Project. 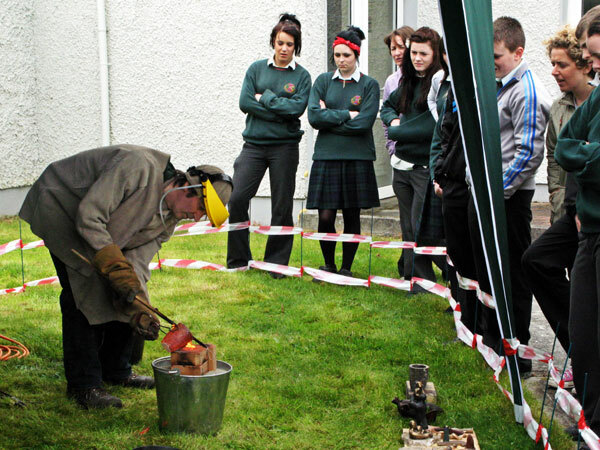 The whole community was involved through bronze casting demonstrations we presented at the Aughrim National School. The artwork was made up of over 200 horses designed by the students of the school, cast and welded together by myself & Niall into the form of a stylised rocking horse, which the children of the school can play on and interact with daily. Also during 2008 I was commissioned to produce commemorative plaques for the 150th anniversary of Charles Barrington being the first person to climb the Eiger Peak in Switzerland. Two plaques were erected in Switzerland - at Grindelwald and partway up the Eiger - and one plaque was erected in Barrington's home town of Bray, Co Wicklow in Ireland. In 2009 I completed a public art commission for the new Department of Revenue Decentralised Offices in Newcastle West, Co. Limerick. 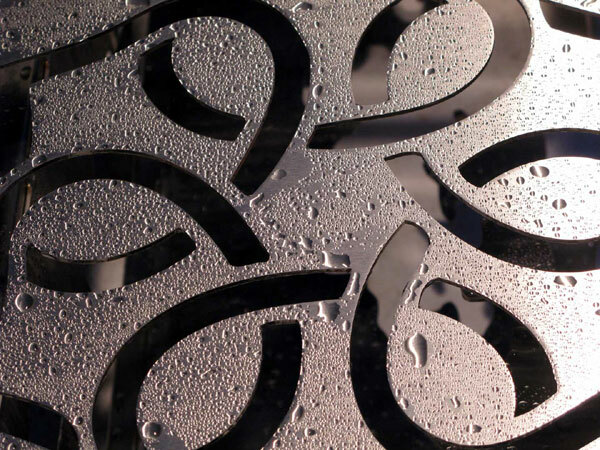 Tendril is a large artwork made up of 10 laser cut stainless steel panels. In September 2010 I installed a large commission for the Athlone Institute of Technology. Sierpinski's Growth is a much larger and permanent reworking of the sculpture I did for the 2007 Sculpture in Context Exhibition. 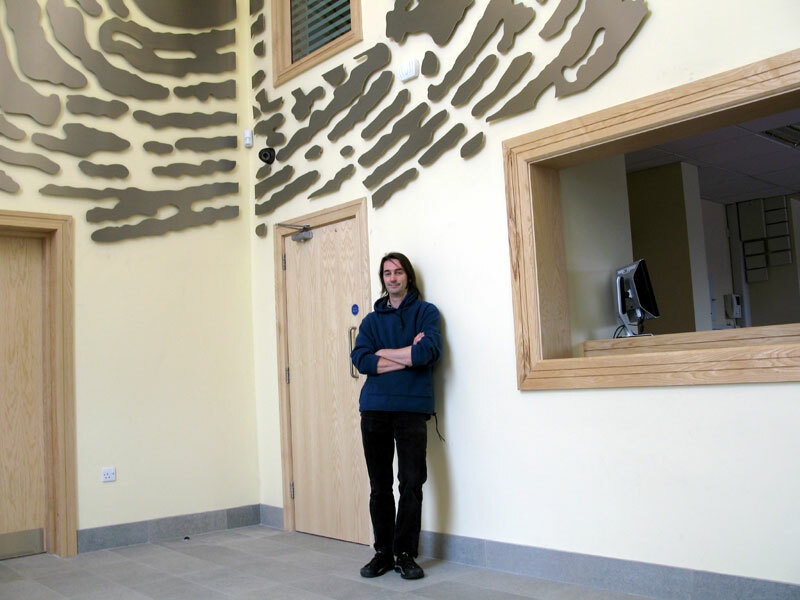 In April 2011 I installed a large outdoor wall mounted sculpture at the new Library & Arthouse Studios in Stradbally. Growth is a large, fractal inspired artwork made up of 20 laser cut stainless steel components. During October and November 2011 I installed a large concrete and stainless steel sculpture Menger Pyramid Coláiste Choilm (a boys secondary school), Tullamore. I am putting together a time lapse video of the installation, as it took over a month to slot this large puzzle together! In December 2011 I installed Fishing for Knowledge, a sculpture I made through a workshop led process with Causeway National Scool in County Kerry. The staff & students of the school took the opportunity to add personal messages and images to the scales of a giant Salmon which was then cast in bronze and installed at a nearby housing estate. 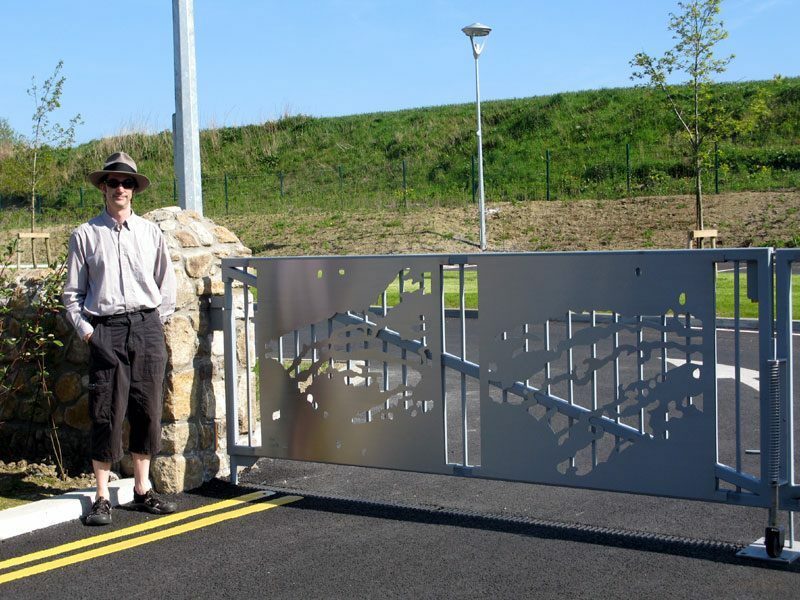 In April 2012 I was approached to create a sculpture for the gates of the brand new Powerscourt National School. The catch was that there was a very short proposal time and they needed it installed before May 30th. My proposal was selected, and the artwork Flow is now installed after a whirlwind development process. In January 2013 I decided to get involved in the Big Egg Hunt Dublin, a fund raising event for The Jack & Jill Children's Foundation, by creating an artwork on one of their provided large fibre-glass eggs. I am very pleased with the resulting egg, "Hilbert Curve", which will be auctioned off in March to raise money for the charity. I have also created a time lapse video of the entire 8 day process compressed into 4 minutes. In July 2013 I was approached by the Kildare County Arts Officer with regard to producing an artwork for the Newbridge Town Bicentenary. It was hoped that the artwork would be produced in time for the Newbridge Grassroots Festival in September 2013, however due to various delays a decision on the commission was not made until late October. 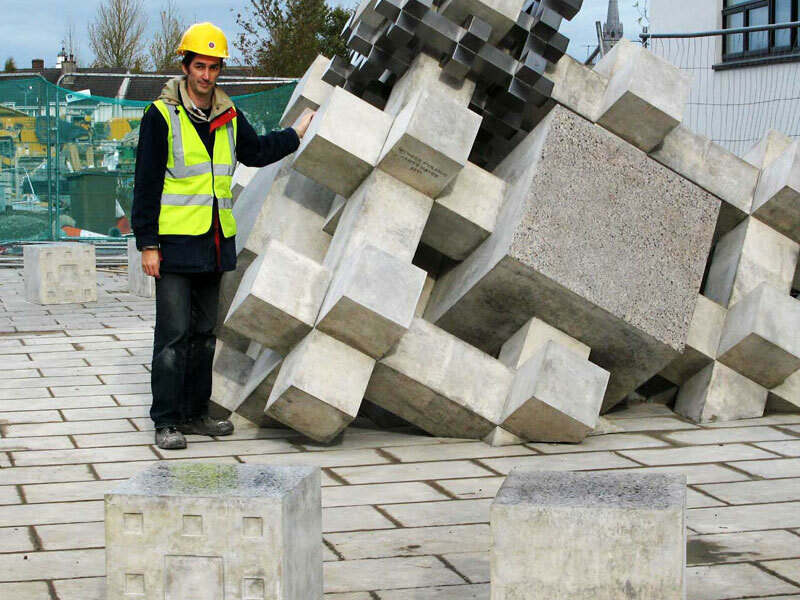 The sculpture was completed in January 2014 and installed at the entrance to Newbridge Town. Overall, I would say my approaches to artwork are diverse.